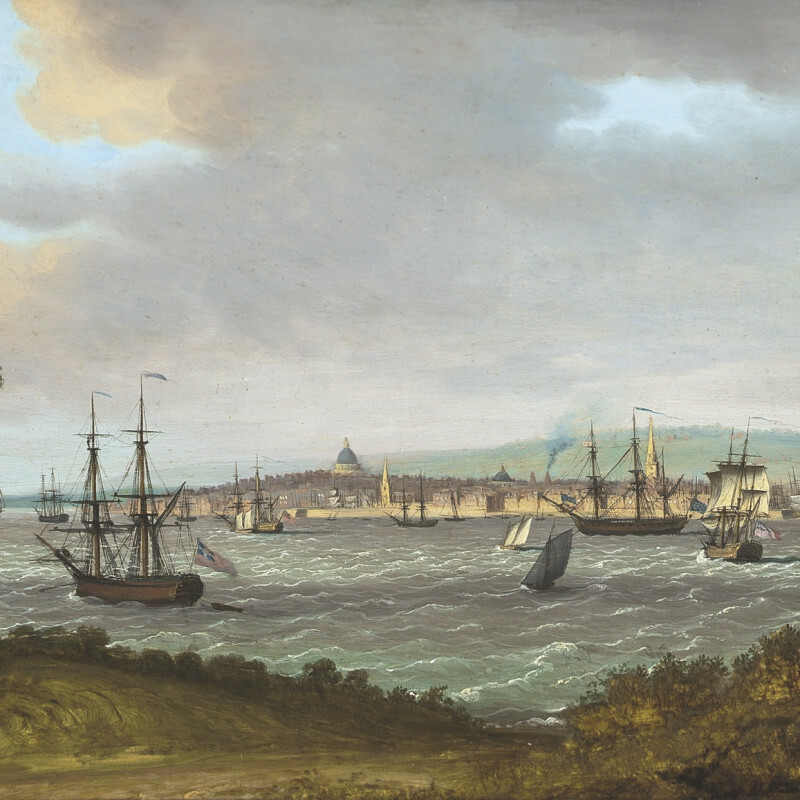 Both son and pupil of the prolific maritime painter Dominic Serres (1722–1793), John T. Serres benefited from his father’s artistic connections and exhibited regularly at the Royal Academy between 1780 and 1825. His reputation for draughtsmanship was rewarded with the appointment of Master of Drawing at the Royal Naval College in Chelsea. Further recognition followed as he replaced his father as Marine Painter to the King, while in 1800 he became Marine Draughtsman to the Admiralty. John Thomas Serres was soon travelling by sea throughout the expanding empire, particularly in the Mediterranean, recording coastlines and documenting enemy positions.